The Winter Season runs for ten weeks, from the beginning of December through February. Practice is held twice during the week (exluding holidays, or when the facilities are unavailable). Registration fee: $40 and includes a T-Shirt. The Spring Season runs from roughly March to mid April and is solely recreation based. The groups meet once or twice per week for practice and play. This is great way to get introduced to volleyball without the commitment of a full season. Registration fee: $25. The Fall Season runs for ten weeks from the beginning of school to mid-November. Practice is held twice during the week. Registration fee: $40 and includes a T-Shirt. Level 1: introductory level where the kids learn the basics of serving, passing, setting and spiking. Level 2: next steps of learning some advanced skills and running an actual offense and defense. Level 3: for advanced players. In this level, the kids learn a complete offensive and defensive system. High School Level: usually merged with the Level 3 group. 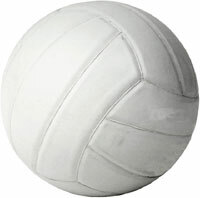 Volleyball Club: Open to girls age 12-18 years old. AAU sanctioned and travels for tournaments. Fees: $16 to get AAU membership to be covered by AAU insurance as well as registering for NYAA yearly membership. Team fees for accepted players are to be decided pending uniform costs. The 2016 season included: 2 jerseys, spandex, socks, knee pads, warm up suits, and bags. We don't require but we highly recommend knee-pads. NYAA will provide each child with a shirt that they may keep in the fall adn winter sessions. Yes, the recreational team is co-ed. The volleyball club is strictly girls. All activities are held at the Northwestern Elementary School gymnasium. Are there tryouts for the teams? NOT for the NYAA recreation programs. This is a developmental program and we want to share the sport with as many kids as possible. All kids play. If a child wishes to get into a more competitive program, the Club offers the opportunity to play on tournament teams. Please note that there are tryouts in November for the tournament teams. Is there a Volleyball Team at Northwestern Lehigh High School? Yes, the Northwestern High School Volleyball Team offers a girls only Junior Varsity and Varsity level Volleyball teams. Who is running the program? Deb Duminie is the NYAA volleyball director as of December 2018. Feel free to contact her at if you have questions or would like to help out the program. Fall and Winter programs are $40 while the Spring is $25. Volleyball Club fees differ. If there is no school, there is no practice! The rule is if school closes or dismisses early due to inclement weather, practice is canceled. If the school has a delay, there is practice. If the Saturday session needs to be canceled, your coach or the director will contact you. If the weather is getting bad after school dismisses the director will make a call on the safety of practice and you will get an email by 5 pm.